A mom in Australia says a doctor declared her newborn son "dead," but she helped bring him back to life by holding the premature baby against her body using a method known as "kangaroo care." "I thought, 'Oh my God, what's going on?' " Kate Ogg said on the Australian television show, Today Tonight. The child, named Jamie, was born after only 27 weeks with his twin sister, Emily, at a hospital in Sydney. Her birth went well, but his was a different story. The doctor struggled for 20 minutes to save him before declaring him dead. "His little arms and legs were just falling down away from his body," Ogg said. "I took my gown off and arranged him on my chest with his head over my arm and just held him." She and her husband, David, spoke to the child as she continued to embrace him for nearly two hours. During that time, she said, the two-pound infant showed signs of life. "The difference between school and life? In school, you’re taught a lesson and then given a test. 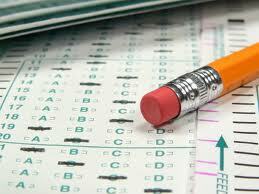 In life, you’re given a test that teaches you a lesson." Tennis elbow, or lateral epicondylitis, is a very common disorder of the lateral proximal forearm. While it has an athletic sounding name, tennis elbow can affect anybody participating in an activity that places excessive and repetitive stress on the wrist extensors, flexors, supinators or pronators. Tennis elbow can cause severe tenderness on the lateral side of the elbow. The affected area becomes painful during extension, flexion, supination or pronation of the wrist, or finger extension. The pain becomes more obvious if resistance is offered against one of these movements. Massage therapists are often recruited to help during recovery from tennis elbow. Below are summarized lists of massage therapy protocols for this disorder by three prominent practitioners. Incorporating the methods used by others with your personal experience can be an excellent combination to create your own effective therapeutic routine. Complaints commonly encountered in massage therapy may be due to unresolved grief. By understanding and working with two popular systems of bodywork, massage therapists can help their clients release this stuck emotion. It is prevalent in our daily lives, yet many people struggle with grief. Usually beginning as an emotion, extended periods of grief typically manifest physically, a phenomena that clearly demonstrates the interconnectedness each human body possesses. By accessing the energetic manifestation of grief, bodywork can unlock this commonly repressed emotion. Upon associating physical complaints with barricaded grief, therapists who have the skills to prompt its release can help their clients achieve a major breakthrough in reaching their health goals. 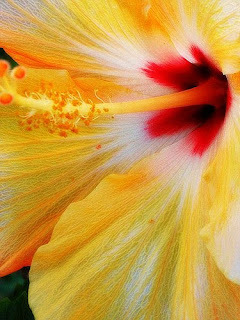 Hibiscus or rosemallow is a flowering plants in the family Malvaceae (the mallow family, along with members like cocoa, cotton, okra, baobab and durian), hibiscus is native to warm temperate, subtropical and tropical region around the world. Hibiscus flower are large, trumphet-shaped, with five or more petals, and colors ranges from white, to pink, red, purple or yellow, and from 4-15cm broad. The fruit is a dry five-lobed capsule, containing several seeds in each lobe, which are released when the capsule splits open at maturity. Hibiscus plant is not only famous as an ornamental plant but is it also important as an ingredient in food preparation and in making healthy delicious herbal teas. The Hibiscus sabdariffa or roselle is the preferred species used to make hibiscus tea.